You don’t need a special occasion, just plan a different evening for your partner and maybe friends and family! 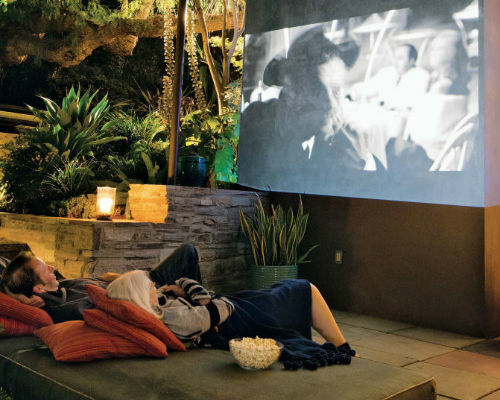 Set-up a big screen movie evening with food cooked and presented by a private chef! And don’t forget those finer details - candles, wine, decorations. 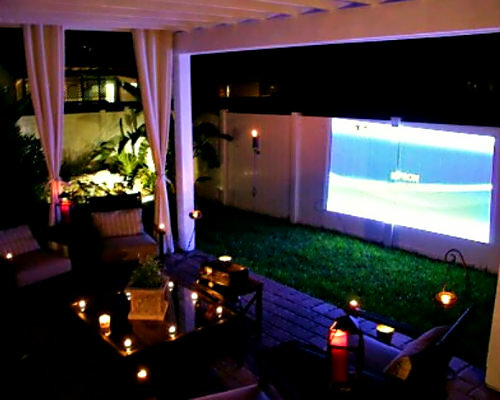 The movie is screened on a projector and wide screen in your garden, living room or terrace! The projector will be delivered to your house and picked up after 6 hours. 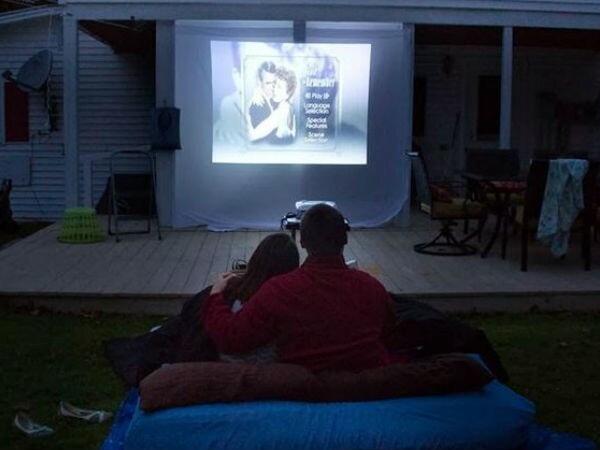 And you bring your partner’s favorite movie, or one of those popular ones... Titanic, 50 first dates, Jab we met, Dil chahta hai and many more. You may add a private Chef for this experience. He is a top end one, who comes with his culinary and presentation skills. He will tailor a 4 course meal to your taste! All you need to do is provide him with a workable kitchen, raw ingredients and cutlery. Your Chef will give you a ring a day before to finalize a menu so that you can procure the right ingredients. 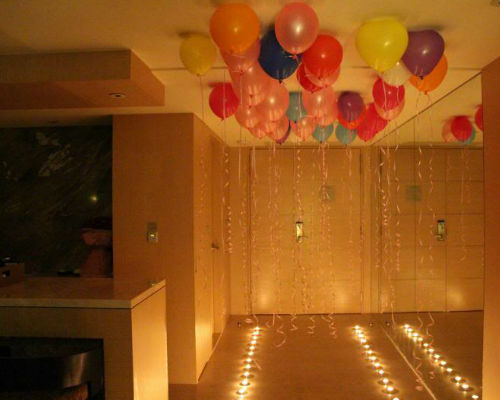 Also, there are lot of finer details that you can add such as flowers, cake and balloon decoration. You also have an option to invite a guitar artist, making for a melodious evening! We discourage Helium balloons for home use as it is an asphyxiant - it can suffocate you. We use air balloons, fix them to your ceiling with a removable cellotape (no mark on ceiling if removed within 2 days) to create the same experience as helium balloons. 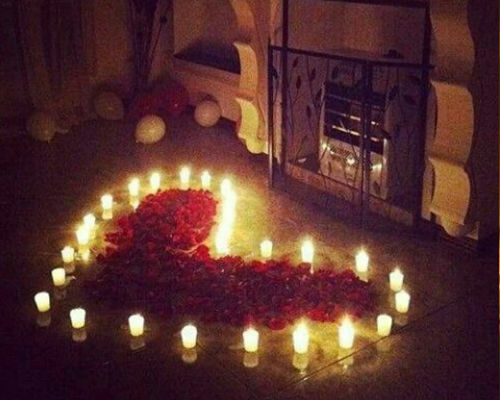 In this we provide 100 tea light candles and rose petals that can be used for writing a message on the ground as shown in the pictures. We recommend that you arrange the movie. We can not guarantee the availability as well as quality of a movie print.